From now through September 10, we will be teaming up with our friends at The Hobbs Gallery to provide you with an exclusive collection of rare, important graffiti. 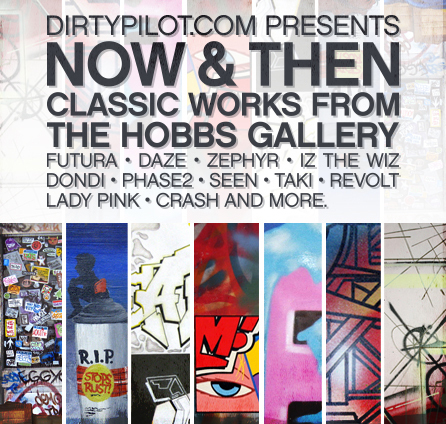 Dirtypilot.com proudly presents: Now and Then, a unique sale consisting of works from 1981 to the present. 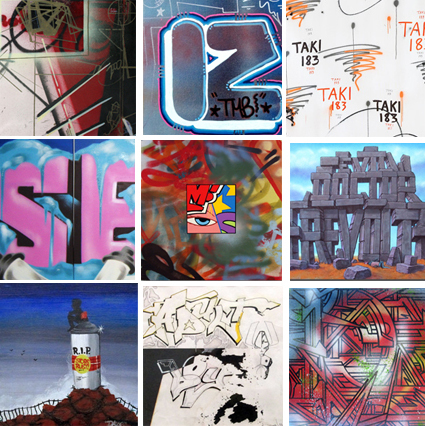 For this summer only, Dirtypilot will offer paintings and works on paper by graffiti legends such as ZEPHYR, LADY PINK, FUTURA, PHASE2, IZ THE WIZ, DONDI, SEEN, TAKI, DAZE, REVOLT, CRASH, and many more. Check back often, as we will be updating our inventory all summer long! ← DP Editions Presents – COPE2 – New Print "Natural"